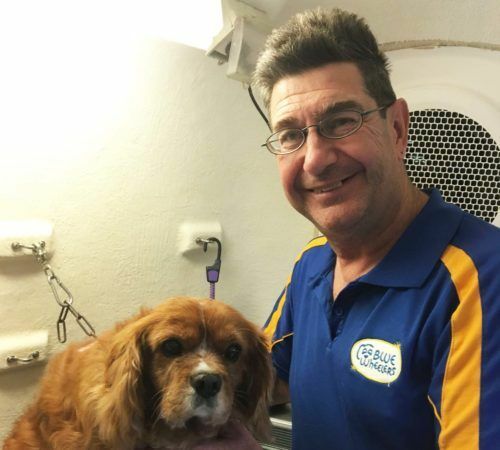 I love being part of the Blue Wheelers team – living the dream washing and grooming dogs of South Penrith and the surrounding areas. My number one tip for pet owners is to get your dog groomed regularly, it makes it so much easier and will save you money, your dog will love you for it. Your dog is a part of your family and family deserves the best. So if you live in South Penrith or the surrounding areas and want to book your best friend in for a little bit of TLC fill out the booking form. I can’t wait to meet you and your dog. 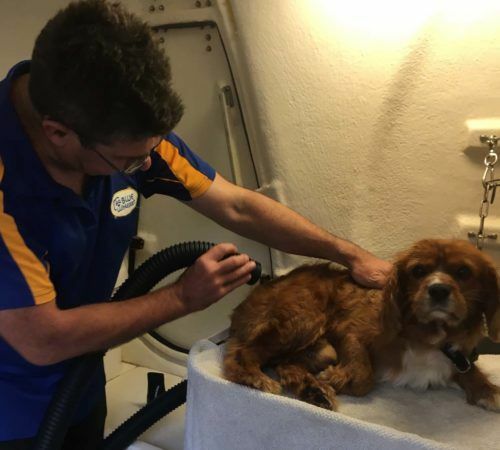 My most favorite thing about being a mobile dog groomer is that I get to have loads of fun filled days grooming and caring for my fur clients. 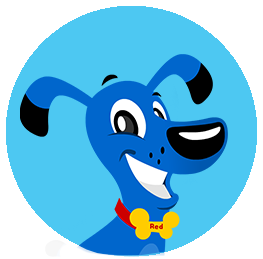 I love working with animals and by becoming a Blue Wheeler it allows me to do just that, I love seeing the joy in a dog’s eyes and smiling, happy faces of my clients. My Family owned a small farm in Mulgoa, we had many different animals including dogs. I have always loved dogs and loved caring for dogs. That is why I decided to join Blue Wheelers. I love helping people keep their dogs looking and feeling great. I love all dogs, big or small, fluffy, cuddly; all dogs are amazing in their own unique ways. 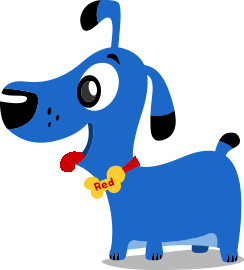 But my favourite dog breed is a blue Cattle dog. They are intelligent, loyal, devoted and have a playfulness hidden under their tough exterior. Before joining Blue Wheelers, I was working as a retail manager for 30 years. This helped me develop strong customer service and organizational skills which will help me as a groomer to ensure that all my clients will get a professional and a reliable service. Thanks , Ross will be in touch with you soon! Our dogs adore Ross! He is so gentle and patient with them - no more salon anxiety. 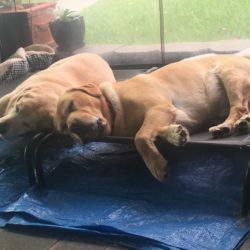 Bonus - they smell absolutely delicious when they're all clean! Thanks Ross. We had Savvie see Michelle for the first time and she did a wonderful job with Savvie. He was calm, patient and let Michelle trim his nails which is a rarity. We will be seeing Michelle again, and recommend her to anyone. It's no secret my pug Ralphy is in love with Michelle! She does such a great job with him, she is always on time and gives him that extra little bit that all puggys need! When she is finished Ralphy is always sparkling and he always feels the need to strut his stuff around, how cute! Highly recommend Michelle, I would not look anywhere else! I have been having our two dogs washed by Sian for a few months now. 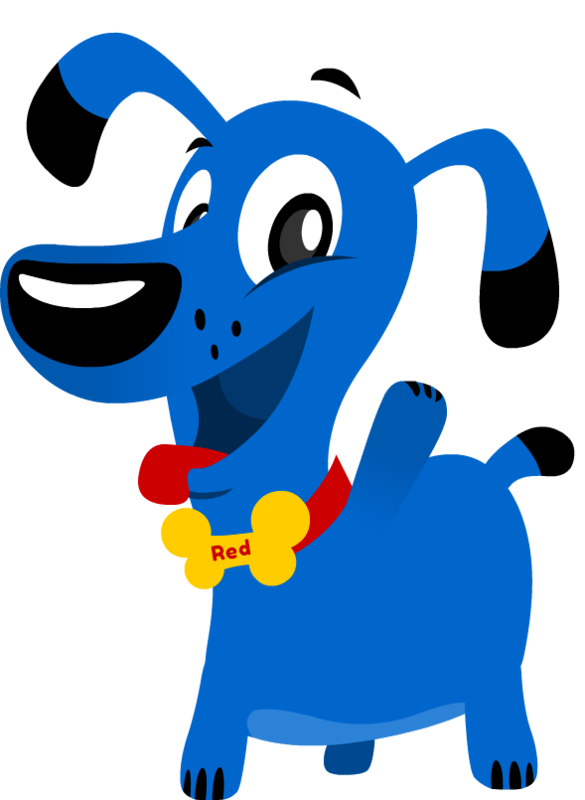 Dogs are so clean with nails trimmed carefully, and they don't return to having that 'bad dog's smell' for weeks. Awesome wash, and Sian does a great great job every time- I will never let her go! Thanks! Sian has been looking after our pup Lilly for a few months now.She is a long hair dog and the attention Sian gives to grooming is AMAZING.After her session Lilly looks and smells beautiful.We love the care and genuine affection that Sian gives to Lilly and just the way she reacts to Lilly its not just a job she really does care. I cannot speak highly enough of Sian of Penrith Blue Wheelers for her great service and caring treatment of our Labrador Missy. Missy is the rare Labrador that hates water which made bath time a real chore before the wonderful and patient Sian started her grooming. Missy loves all the attention and love that Sian puts into her appointments and now looks forward to every session with her. I highly recommend Sian for all of your dog grooming needs and can honestly say Missy is a different dog since she has started caring for her. Thanks Sian for loving Missy as much as we do. I can not say enough good things about our local Blue Wheeler! Sian is always on time and so professional in handling our dog. She also offers great advice which has helped us in all other aspects of training Oreo. I recommend her highly and I know Oreo adores her visits too. Molly is normally a very nervous dog at bathtime, Sian was very patient and caring. Now Molly can't wait to hop in the trailer for her monthly bath!